Black Water. What is it? Sewage Damage resulting in Black Water. The most hazardous of the three types of water damage, “black” water is usually a result of natural disasters or sewage damage. Example of Black water is water that comes from toilet overflows, sewage back-ups, rising flood water from rivers and streams as well as septic systems. Black water can include toxic materials such as bacterial diseases, chemicals, pesticides, microbes and more. If your home has suffered this type of damage, it is best to let a qualified professional begin the disinfecting process before you attempt to handle the damage on your own. They have the proper equipment and safety precautions in place to restore your home safely and thoroughly. You put yourself at risk if you are not careful with black water. It is important to note that “gray” and “black” water are not necessarily the colors of the water that you will see in your home. They are simply terms that denote the level of contamination. If you experience a flood from a heavy rain, the water may look “clean,” but if there is any ground water that has backed up into your home as a result, there may be invisible microbes lurking in the water. 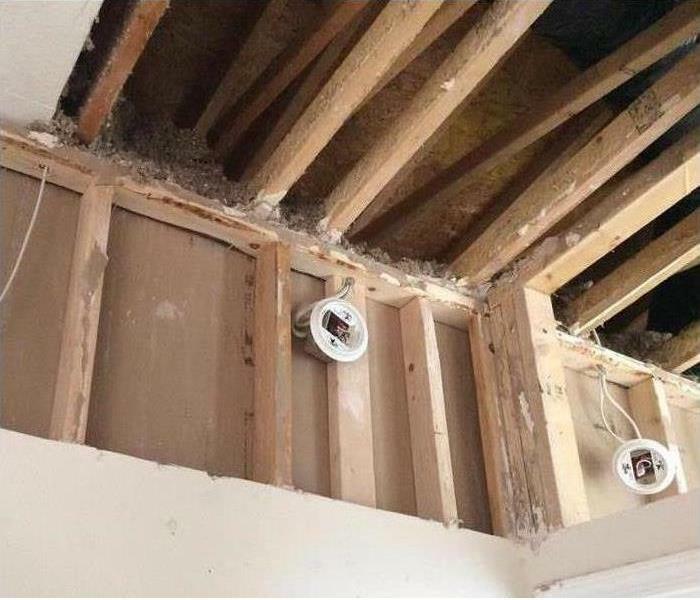 This is why it is recommended that you allow a professional restoration service to assess and fix any water damage to your home. Better to be safe than sorry when it comes to your physical health, as well as the structure of your home. Contact SERVPRO of Galveston Island/Lake Jackson for mold remediation services. SERVPRO of Galveston Island/Lake Jackson specializes in mold cleanup and restoration, in fact, it’s a cornerstone of our business. Our crews are highly trained restoration professionals that use specialized equipment and techniques to properly remediate your mold problem quickly and safely. There may be instances when the water that has encroached upon your home is “clean.” When a pipe bursts or an appliance malfunctions, or there is a leak in your roof that allows falling rain water to enter your home, oftentimes the water will be deemed “clean.” This is perhaps the easiest type of water damage to handle, since there will not be too many microbes living in the water. The biggest hazard clean water presents are if the area that has been damaged is not properly cleaned and dried. This can result in mold and fungus growth. If the water has been standing in your home fore over twenty-four hours, it is advisable for you to contact an emergency restoration service, such as SERVPRO of Galveston/Lake Jackson, to ensure that the water is dried thoroughly. This is especially important when the area affected is easily saturated, such as carpets or drywall. 1. Class A Fire Damage: Fire damage from a Class A fire is the result of a fire involving flammable solids, including, various plastics, paper, rubber, wood, and cloth. 2. Class B Fire Damage: Class B fire damage consists of damage as a result of flammable liquids or solids that can become liquefied. This includes gasoline and various forms of petrol, oil, various waxes and plastics, and paint. However, fires caused by cooking oils and fats don’t count as Class B. 3. Class C Fire Damage: A Class C fire damage is one involving flammable gasses, including hydrogen, propane, butane, and natural gas. 4. Class D Fire Damage: Class D fire damage consists of fires caused by combustible metals. This may include magnesium, potassium, and sodium. 5. Class E Fire Damage: Class E is fire damage that results from the factors in both Class A and Class B. The difference being, Class involves the introduction of electrical elements, which makes fighting the fire and the resulting damage very different from Class A and Class B. 6. Class F Fire Damage: Class F is a fire that results from cooking oils and fats. This type of fire differs from Class B because these fires are significantly hotter and the damage more severe. SERVPRO of Galveston Island / Lake Jackson is committed to helping commercial customers get back to normal as quickly as possible after they have faced a loss. 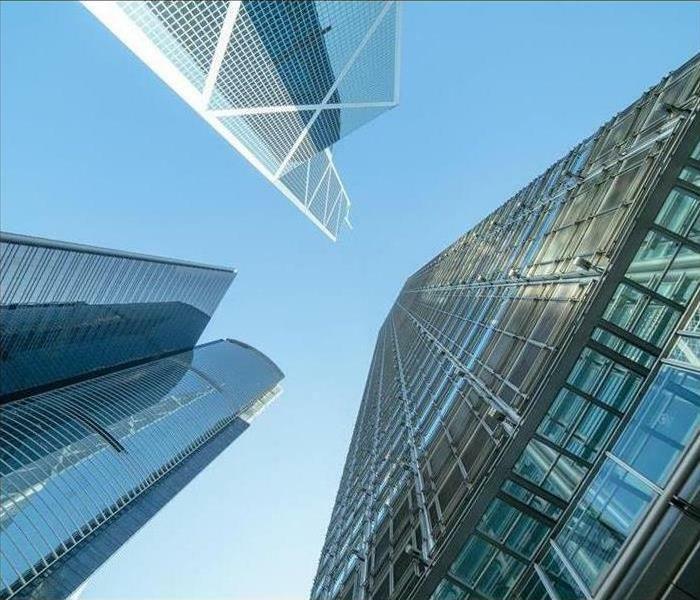 Types of losses commercial customers could possibly experience are, fire damage, water damage, storm damage, vandalism, biohazard contamination, and many others. 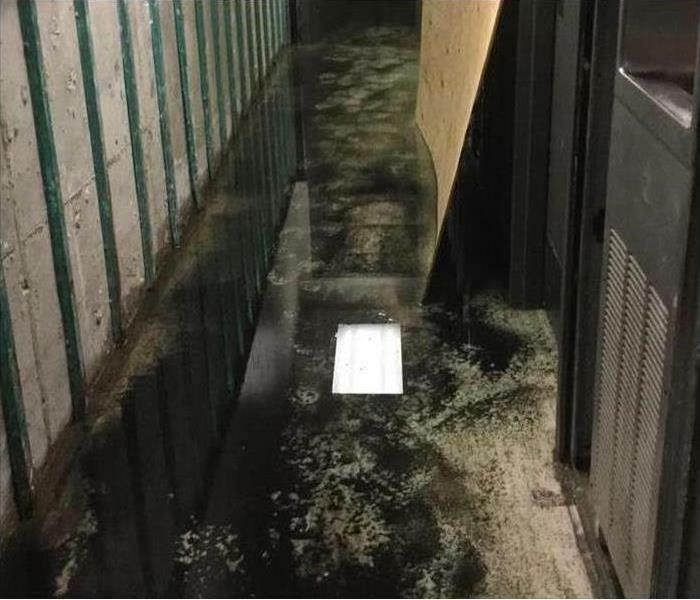 It is imperative that business owners call experts in the industry to help them restore the property to the preloss condition. SERVPRO of Galveston Island / Lake Jackson has helped many businesses in and around the city, when they have faced the unthinkable. The professional team is dedicated to providing the best possible service. Understanding the situation, the business owner is in, is important and the team knows they play a key role in that business reopening. The faster a business is able to re-open after experiencing a loss the more likely they are to succeed. SERVPRO of Galveston Island / Lake Jackson takes pride in helping business owners in Galveston Island / Lake Jackson and the surrounding areas succeed even after experiencing a loss, "Like it never even happened." A homeowner and SERVPRO customer received a call no one wants to receive from neighbors telling her that her home was on fire. The family had just left to get something to eat when they received the call. 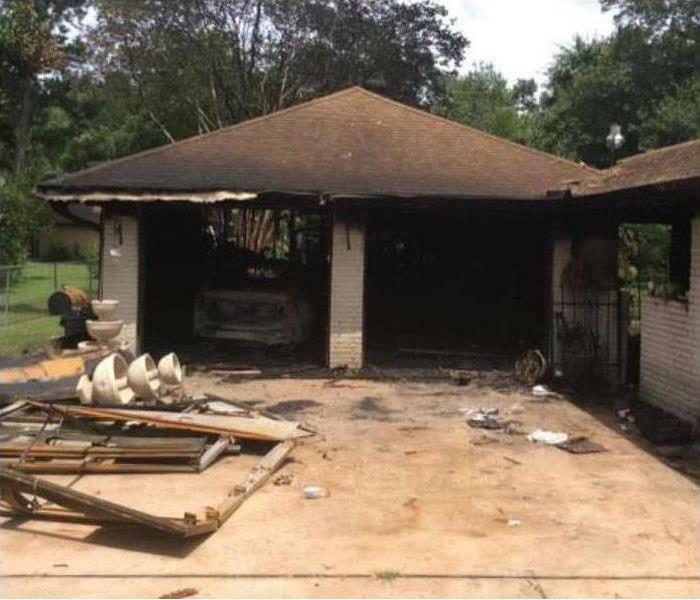 The neighbors in her tight knit community called the fire department before contacting her, but the fire moved fast and a significant amount of damage was done in the short time it took for the fire department to arrive. Returning home, they were devastated to find their home completely burned and that they had lost nearly all of their possessions. In the moments after the fire the family learned that the fire also took their family pets and they were devastated. During this difficult time the last thing the family wanted to do was have to clean the damage from the blaze. Having a company like SERVPRO to handle this for them allowed them to process the tragedy away from the home. It took months for the family home to be rebuilt and for them to cope with the loss of their beloved pets, but slowly life returned to normal for them. They now live happily in their rebuilt home and the homeowner shared that she tried to find the positive in the situation as that was the best way for them to cope with the fire. While rebuilding the family was able to add two additional rooms to their family home, giving each of their children their own room. This is something that helped the family as they tried to get back to life before the fire. The homeowner says anyone experiencing a fire should try to stay positive and that it might take a while, but that life will return to normal. SERVPRO of Galveston Island / Lake Jackson is a leader in commercial cleaning. They offer many commercial property cleaning and maintenance services to businesses in the communities they serve. Some of the services they offer are general cleaning, biohazard cleaning, mold remediation, carpet cleaning, inventory and packing and many others. If you are interested in having services completed by SERVPRO of Galveston Island / Lake Jackson you can call for a free estimate anytime! We would be happy to send out one of our professional team members to assess your needs and give you a free estimate for our services. We are always available when you need us 24 hours day 7 days a week you can reach us in the event of a disaster. We are "Faster to any size disaster." Fire damage is caused by the actual fire. This can include damage to the structure of the property. Often materials are melted and can ignite other materials with this type of damage. Fire damage can also cause different toxins to react causing explosions or they can act as accelerant spreading the flames and causing additional damage. Water damage is always present with fire damage because the flames have to be extinguished. Often the damage caused by the sprinklers in a building is much more significant than the initial fire damage. Soot from a fire can be found in every room of a house that has been badly burned, even those rooms that were not burnt. Often homeowner's belongings, furniture, clothes in drawers, important documents, paintings, and more are completely covered in charcoal black soot. Some items are not salvageable and the items that are have to be properly cleaned or the soot can permanently destroy them. After experiencing a house fire, the water damage has to be professionally handled, because when it is not properly dried mold can grow. Mold is a toxin that can cause numerous potential health problems for those living in the property. 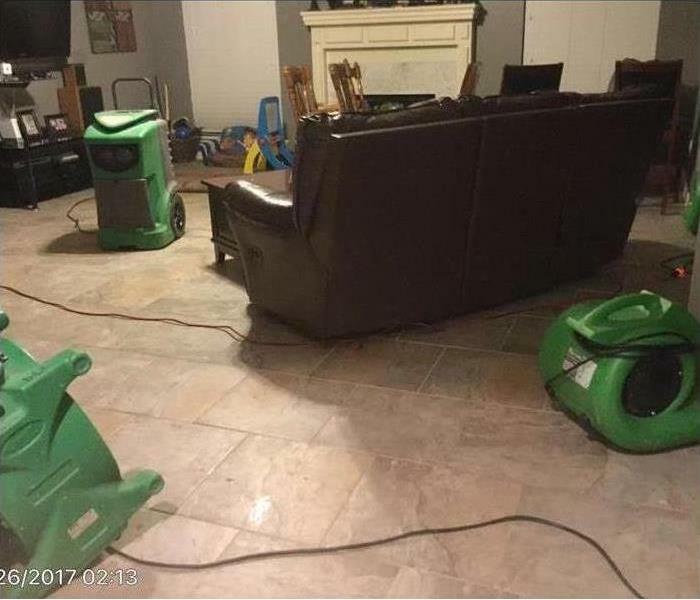 It is important to make sure the water damage is taken care of by professionals like those at SERVPRO of Galveston Island / Lake Jackson. It is extremely important to have a reputable company like SERVPRO of Galveston Island / Lake Jackson handle water damage, as the threat of potentially hazardous mold can develop as soon as 24-48 hours after the original water damage. When a water loss occurs, humidity levels are high. The team at SERVPRO of Galveston Island / Lake Jackson uses specialized equipment like dehumidifiers to dry properties and reduce the humidity levels. This is an extremely important part of cleanup after water damage. Normal drying methods are simply not enough to reduce the humidity levels in a home after a major water loss. Mold is able to grow behind cabinets, walls and under flooring quickly, so the threat has to be handled by professionals who know how to properly dry flooring, walls, and other fixtures in the property. If you have experienced a water leak there is a good chance that you have mold growing in your home around the area where the leak occurred. It is important to remember that even condensation can cause mold to grow in humid climates. Often mold is found in air vents, behind sheet rock, under flooring and in insulation. Many times, when mold is present in these places the homeowner is not aware that they are living with the potentially hazardous toxin. If you suspect there could be mold in your home call SERVPRO of Galveston Island / Lake Jackson. 4/25/2019 - Black Water. What is it? 4/24/2019 - What is Clean Water?